The Dale Company distributes high-performance strut hardware from leading manufacturers. Our complete line of strut hardware is available for fast delivery, with same-day shipping for many products. We stock spring nuts and strut channel nuts manufactured to meet ASTM A108 or ASTM A36 standards. They are press-formed, machined and hardened to provide reliable, durable performance in even the harshest processing environments. 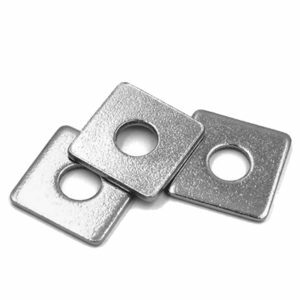 We offer flat, J, U, and rectangular spring nuts in a range of sizes and materials. Our strut channel nuts provide secure support in channels or conduits for wiring, cables, and pipes. 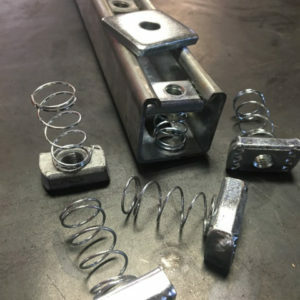 We stock square strut washers and square channel washers manufactured to provide secure joins in structural framing, channels, and struts for construction applications. Our inventory includes a range of sizes and materials, including zinc-plated steel, hot dipped galvanized steel and 316 stainless steel. The Dale Company is ready to supply you with high-quality strut hardware, supported by its superior customer service. Call today to see how we can help you.